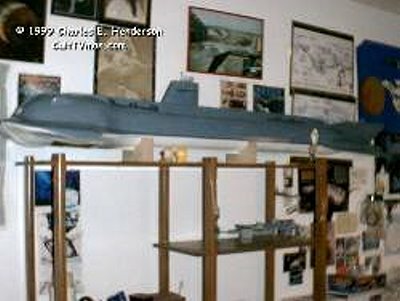 This is the first large scale scratch built model I have attempted, It is a little over 7′ long. 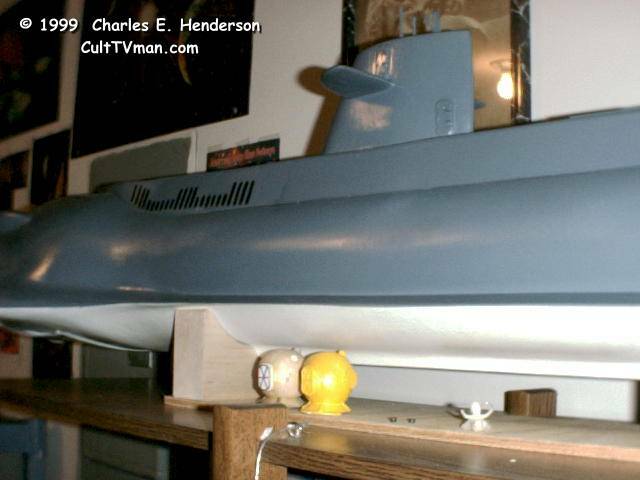 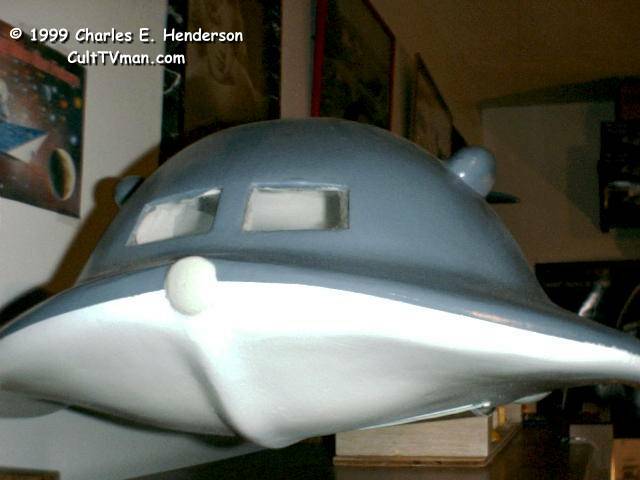 The bow section was constructed from floral foam and fiberglass cloth. 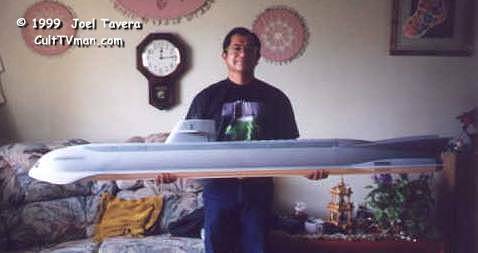 The body is a five inch pvc pipe with plastruct cards and balsa wood for the conning tower.